SANOXY brand has been awarded trademarks by the United States Patent and Trademark Office. Exclusively marketed by authorized resellers on amazon to ensure product warranty. 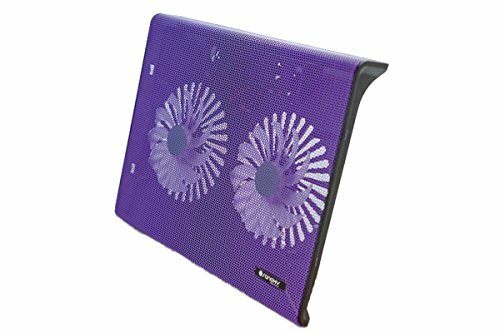 Sanoxy Laptop cooling pads are designed to cool down the overall temperature of your laptop, helping it to run smoother, faster, and extend it's overall life. Compact, portable design allow users to effortlessly carry the notebook cooler with them wherever they go. Provides excellent cooling performance for your laptop, notebook, netbook, Ultrabook, or chrome book. Features: 2 medium size cooling fan with LED Super low noise fan supply a quiet environment. Accessory only; laptop not included. Apple does not endorse to use of this product. Apple MacBook Pro is trade mark of Apple Inc.